Stress is something that we all probably experience more often that we’d like and near constantly hear about in books, online, and on popular TV shows, but most of us have a pretty nebulous understanding of just what stress really is. So, today I want to introduce a more specific definition of stress than we usually use, talk about a useful model for thinking about it, break that model down its component parts, and then take a look at how that breakdown can help us more effectively manage and use stress in our lives. First off, let’s get on the same page about what I mean by “stress” and why it’s not quite as bad as you may have heard. When I say “stress”, I am referring specifically to physiological stress, which is characterized by an elevated heart rate, increased cortisol levels, and activation of the sympathetic nervous system (the “fight of flight” response). These responses can be incredibly useful sometimes. When experiencing them, you may experience enhanced concentration to the point of apparent time dilation, improved reflexes, or even unexpected displays of strength. Even the health problems we associate with stress appear to be determined by how we think about the stress in our lives. But what does this have to do with feeling overwhelmed because you have a million items in your inbox? Well, we didn’t evolve with inboxes, and our bodies still haven’t quite gotten the memo that the modern world is a bit different. We respond to anything unpleasant or a threatening or discomforting the same way we would respond to a clear and present physical danger - by prepping our bodies to either run away or beat something to death. This effect is exacerbated when money is on the line, because in the modern world, money = how we buy food and shelter. It’s not that long a chain for your monkey brain to evaluate threats to your work as threats to your life. So we respond to our boss yelling at us, the threat of not landing a deal, or pushing ourselves to meet that deadline the same way we would if we got into our car and found we had a cougar for a co-pilot. 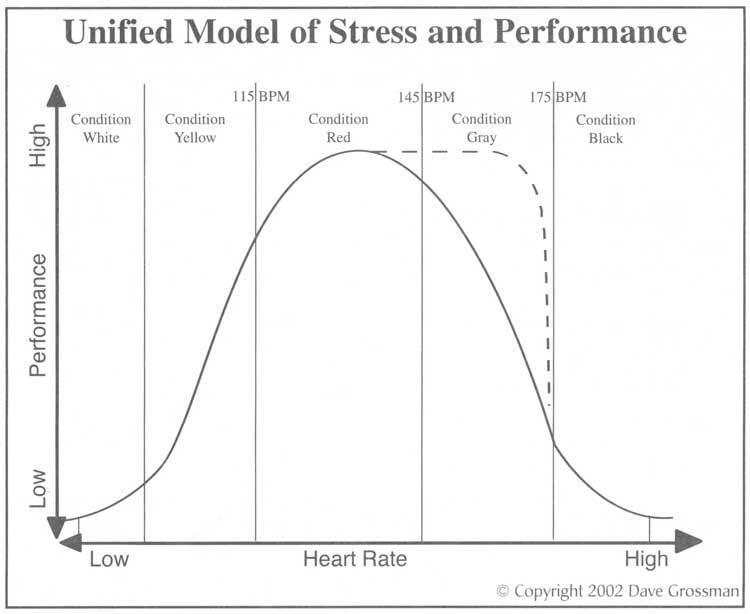 So, given this physiological understanding of stress and why it’s relevant even to the most sheltered of office workers, I want to introduce a useful model for thinking about stress that I first encountered when I was preparing to join the Army in On Combat by Lt. Col. Dave Grossman called “the bathtub model.” I like this model because it is simple and easy to visualize, but still captures a lot of nuance about how we experience stress in our lives. What’s great about this model is that it lets us isolate and manipulate three separate variables when approaching how to think of and deal with stress. “Stress” is usually this big, scary blob of a concept that feels omnipresent and unfightable. When I hear “reduce stress” and my response is “what the hell does that actually mean?” Should I quit my job and face not knowing where my next meal is coming from? Or maybe I should stop caring about improving myself and the things that excite me. Hell, maybe I should just hide in my house and never come out - after all, there’s another way to interpret YOLO. Clearly I don’t think any of those are great answers. Fortunately, the bathtub model lets us come up with better ones by considering the three essential pieces of a bathtub: faucet, drain, and tub. Let’s step through each one and what it means in the model. Our first piece, the faucet represents the sources of stress in your life - people yelling at you, worries about money, saber tooth tigers trying to eat you, et cetera. This is probably the most obvious part of the model, and the one that comes to mind when you think “stress.” We tend to look at it as some external force irradiating us as we go about our business. One nice thing about the faucet metaphor is that it suggests a useful application: you can adjust how open or closed a faucet is. You do that by introducing or removing stressors from your life. Most of us come to accept the majority of stressors in our life as givens, but really we choose to accept them. Even for unexpected events totally outside of our control, we can at least change how we view and interpret them. Besides the truly external forces in our life, there are tons of things within our control - interacting with people that drain us, engaging in activities with no useful outcome, or consistently maintaining poor posture. Finding ways to turn down the firehose of stress filling up and overflowing your tub is one of the most straightforward and impactful ways to see immediate results. The trouble is, we all end up with some stress coming into our lives - even if you retire to pristine alpine monastery, something is going to stress you out eventually. Which means we need something to actively relieve stress - the drain for your tub. Some good examples are working out, getting a massage, or meditating. Some not so good examples are drinking, yelling at your kids, or doing drugs. The crucial thing to recognize here is that like the faucet, you can change the size of your drain. Sure, having a nice, cold drink at the end of a really trying day will relieve some stress immediately, but jogging consistently every day will make it harder for you to even get to that point. Getting enough sleep, eating well, and maintaining healthy, loving relationships are also fantastic examples of how to increase the size of your drain. James Altucher’s daily practice is a pretty great starting place if you’re looking for maintenance activities that will keep your drain flowing clog-free. Finally, we come to the source of the name of the model: the tub itself. This is the least obvious and most important part of the model. When you hear about the negative side effects of stress, what you’re really hearing about is the tub overflowing. You see, the tub is your capacity to function effectively under stress. And guess what: like the other two pieces of the model, this is not a fixed amount, but rather one that you can adjust through training. The single biggest thing you can do to increase your tolerance for stress is to exercise regularly. I know you keep hearing this, but in our sedentary society we need to hear it early and often: exercise makes everything better, and stress is no exception. Why do you think the most elite military units also work out the hardest? Do you think it’s so they can punch terrorists to death or secure allies via arm wrestling contests? No, it’s mostly to improve their capacity to endure physiological stress. Exhausted people and terrified people are psychologically and physiologically damn near identical. Now, most of what will increase your bathtub size - exercise, good sleep, breathing exercises, and meditation - is similar to what will help you drain stress, but they operate by slightly different mechanisms, and their results are different. When you exercise, you release all kinds of great hormones, and when you relax afterwards, you bleed off those that contribute to physiological stress, like cortisol. Regular and intensive physical training, though, actually allows you to perform normally (or even better) at elevated levels of physiological stress. 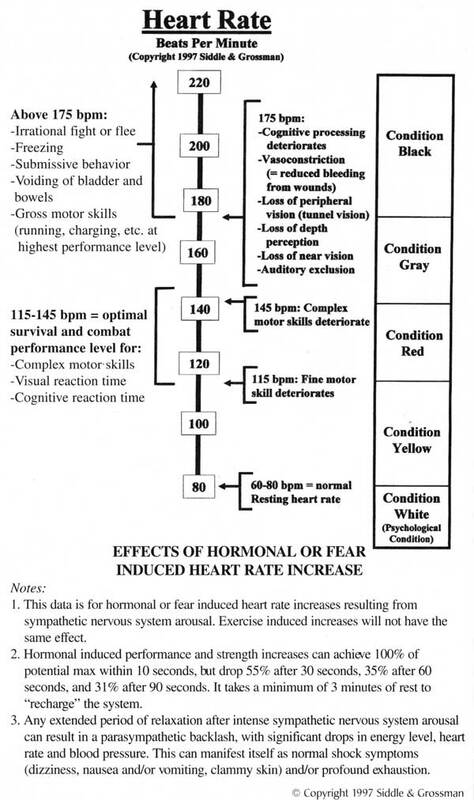 A Navy SEAL that kicks down a door and shoots a terrorist in the face doesn’t have a calm heart rate or low levels of cortisol - he probably actually has higher of both than a normal person could endure without passing out, because he has trained his body to accept and make use of that state. He has a multi-person jacuzzi where most of us have a foot basin. While I don’t expect most of you to be engaged in that variety of high-performance activity, more effectively inoculating yourself against stress will allow you to get better results any time stakes are high. Walking through the bathtub model has let us break down the big, scary topic of “stress” into manageable variables that we can tweak in our life. By having different pieces to attack, we can mitigate one area we can’t change right now by focusing on another that we can. I’m going to talk soon in more detail about some of the things I have found helpful in my own life for adjusting those variables, but I’d love to hear what you do to effectively deal with stress in your life.